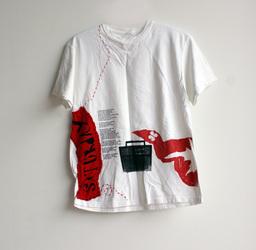 Here are the seven t-shirts I made; one for every day of the week. 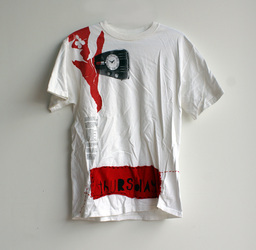 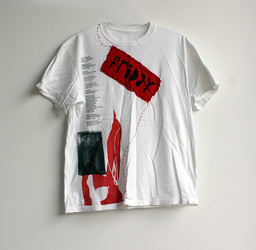 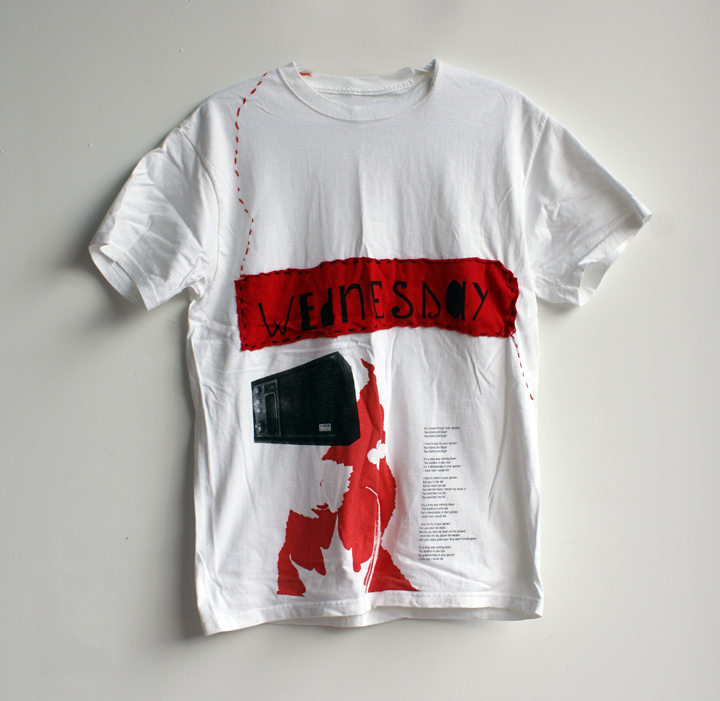 Each shirt contains a screen print of a classic radio, an organic open screen design and lyrics to a song containing the day of the week represented on the shirt. 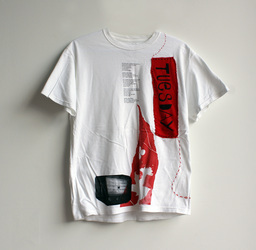 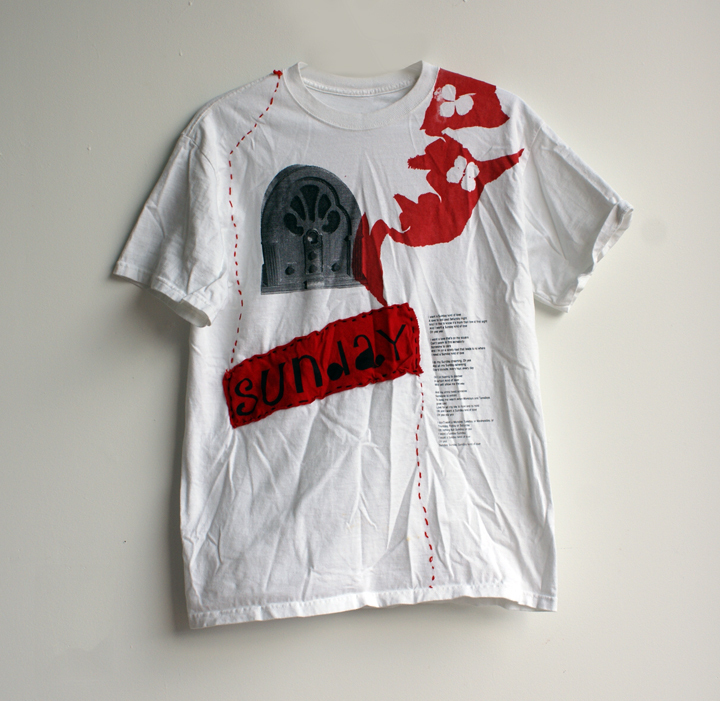 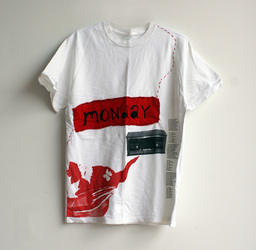 I also open-screen printed the day of the week onto separate fabric and stitched it on.